Kid inventions are not a game. Sometimes kids ideas end up as great products, useful and successful. The inventions on this page are especially inspiring as they were all conceived by kids no older than 12 years old and ended up being product success stories. Becky Schroeder was only 10 years old when she came up with the idea of the glo-paper. 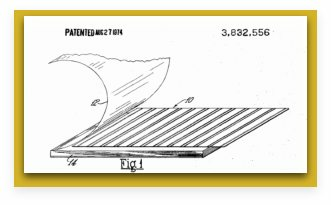 Two years later, in 1974, her invention was patented and she became the youngest female to ever receive a patent in the united states. The idea came to her when she tried to do her homework in the family car, while her mother shopped for groceries. It was getting dark, and she couldn’t see her notebook very well. She didn’t have a flashlight and imagined how nice it would be to have a paper that glows in the dark and allows you to write effortlessly without light. Most kids will stop at at imagining, but Becky took it a step further.She decided to invent a product that would do just that. She researched fluorescent and how fireflies lighted up and eventually remembered seeing 'glow in the dark' toys, such as balls and Frisbees. She started researching how they worked and found out they all used phosphorescent paint which stores energy when a light shines on it and then radiate it as a glow, in the dark, after the light is switched off. The next day she went with her dad to the hardware store, and returned home with a bucket of phosphorescent paint. In the darkest room in her house, she spent the evening experimenting with the paint and a stack of paper, until she got it. Her invention, the glo-paper consists of a board coated with phosphorescent paint, that stores light when exposed to light. It then glows in the dark without needing to shine an external light source on it. Once a sheet of paper is placed on it, it glows and you can see your writing or read without the need of a proper external source of light. The invention was a huge success. It has since been used by photographers for their dark rooms, emergency medical people in ambulances, in hospitals to read patients charts at night without waking them and even by NASA who asked to use it when their electrical systems were turned down for recharging. Chris Haas, a 9 year old kid, saw his friends missing “easy” shots during a school basketball practice. He was the son of a basketball coach and knew a thing or two on the right way to aim and shoot. After trying to show his friends how it should be done, and giving them helpful hints on the right way to hold a ball, he came up with his invention: the hands on basketball. The hands-on basketball is a basketball training tool for kids and has hands painted on it, indicating the correct positions to hold the ball while trying to shoot baskets. His story can truly serve as inspiration –when he first submitted his invention to a kids inventions competition at his school he didn’t win, but with his teachers' and family's encouragement, went on to patent his idea anyway. After the patent was granted and with the help of his dad, he approached several sports equipment companies inquiring whether they will be interested in buying the licensing rights to his idea. None of them was. He persevered and a year and a half later signed the contract that brought the hands on basketball to the market. His invention has been manufactured and sells successfully around the world. Not all inventions have to do with science. 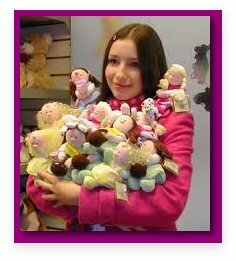 12 years old Luisa Bundy from England, received some modelling clay as a gift for her birthday and started creating little dolls. She named them little bundies – a word play on “little buddies” and her family name. 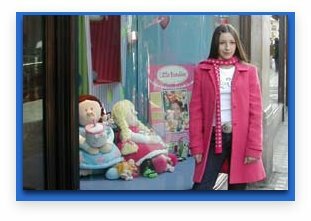 Luisa started off showing them to friends and encouraged by their enthusiasm started selling the dolls at school and later set up stalls at craft fairs and county shows. Two companies have approached her and started selling her designs and her dolls are now sold at the UK's most famous toy shop – Hamleys.